The excess oil trapping in the pores is often the main cause of pimples. Commonly, your skin always eliminates unnecessary oils through pores. For some reasons, the pores are clogged and the oils cannot be thrown out, they contact with some bacteria and cause an inflammation. This inflammation is shown as an unwelcome pimple . There are several factors that contribute to this problem which are increase in sexual hormones as well as androgen in your body, consumption of greasy food, cosmetic products, poor regimen of skin care and hereditary factors . The size of pimples can be varied and they are often seen on chest, shoulder, back, neck and certainly face. Teenagers are the most vulnerable due to the puberty period in which there will be changes in hormones happening in their bodies . Pimples can make people lose confidence as it affect his/her appearance. Fortunately, there are many treatments available to easily treat pimples that only use inexpensive materials at home. Here are some home remedies that we recommend to get rid of pimples as fast as you desire. 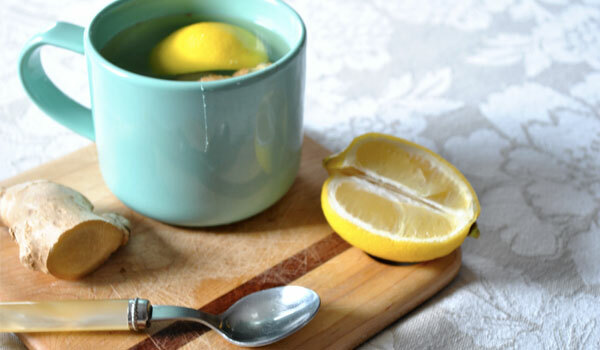 Lemon is rich of vitamin C that can be an excellently effective solution for how to get rid of pimples. Cut a fresh lemon and use a juicer to make lemon juice. Plunge a piece of cotton into this juice and apply this directly to pimples. Alternatively, mix well 1 teaspoon of lemon juice with the same amount of cinnamon powder. After that, place the mixture on the pimples and let it sit for all night. Remove it in the next morning to see improvement. You can find out more about how to use lemon to benefit your skin at How to Get Rid of Blemishes. Ice can support the blood circulation to the pimples areas and remove the dirt and oil on the skin. As soon as you apply, the pimples will quickly disappear . Prepare an ice bag by putting some ices in a cotton towel or a piece of cloth and apply it directly to the affected areas. Hold it for about 3-4 minutes. Repeat the process several times to get the best results. 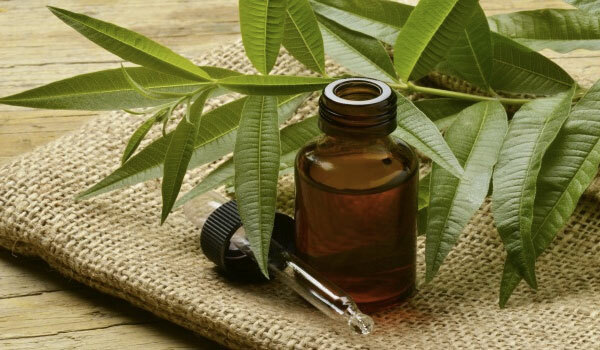 Tea tree oil is very strong in fighting against bacteria causing skin problems thanks to its antibacterial property. Moreover, it can dry out blackheads and reduce the inflammation of pimples   . Plunge a cotton piece into the oil then place it on the affected skin. Wash it off with water after 15-20 minutes. Alternatively, mix some tea tree oil drops with 1 teaspoon of aloe gel. Apply the mixture to the pimples and wait for 20 minutes. Finally, rinse off with water. 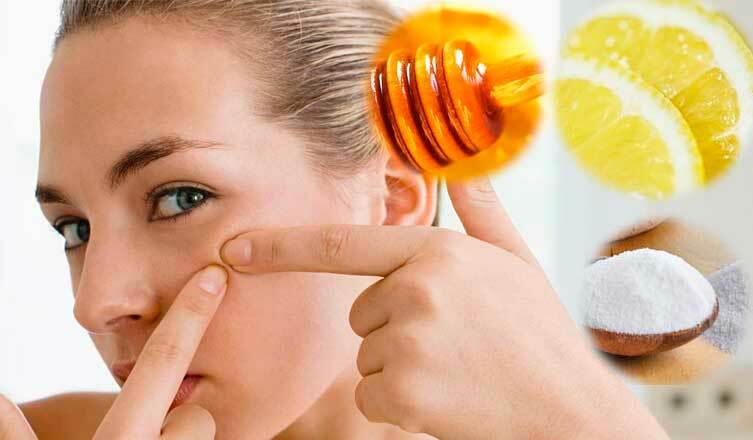 Read more: Home Remedies for Acne Scars. 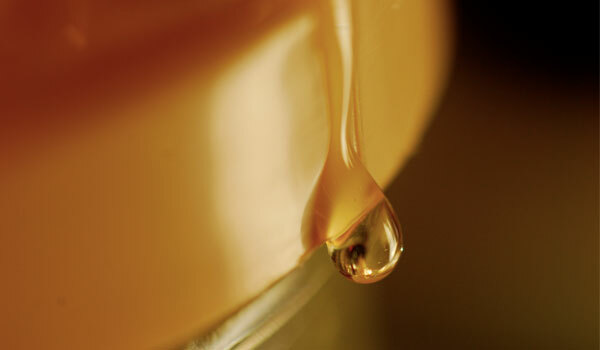 Honey is an amazing ingredient for how to get rid of pimples that is very powerful in speeding up the healing process. It has antibiotic property that can prevent the infections as well . Plunge a cotton swab completely in honey then apply this it to your pimples. Let it sit for about 30 minutes before removing it. After that, clean your skin with lukewarm water and dry with a cotton towel. Do this at least 2 times a week to get the best effects. Learn more about honey’s benefit in home remedies for damaged hair as well as home remedies for clogged pores. Garlic is well known for antiviral, antifungal, antiseptic and antioxidant properties. Therefore it can help you on how to get rid of pimples as soon as you apply. 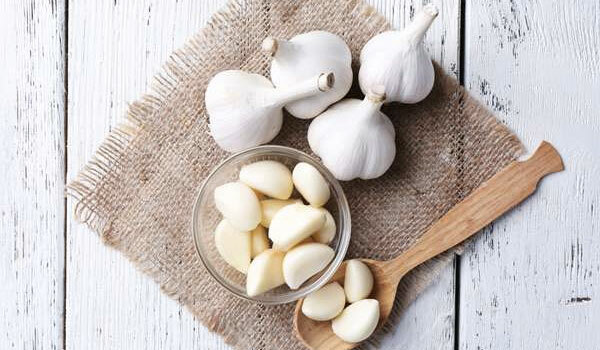 Cut half fresh garlic clove and apply pieces of garlic directly to the pimples areas. Leave them for 5 minutes then rinse off with lukewarm water. Repeat the remedies many times in a day to get more effects. See other usages of garlic in Home Remedies for Congestion as well as Home Remedies for Oral Thrush. 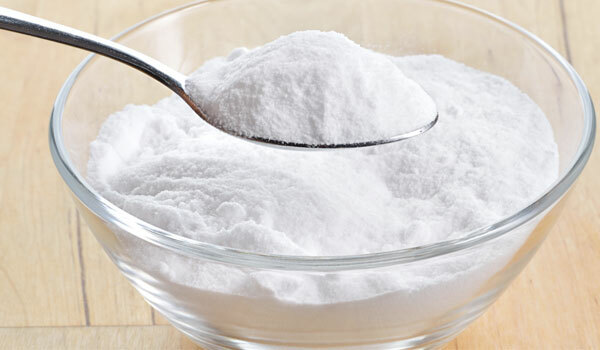 Baking soda is very effective in removing excess oil and dead skin cells as well as exfoliating the skin. Due to that, it is a highly regarded solution for how to get rid of pimples that are caused by mentioned factors above . Mix well one teaspoon of baking soda with a little amount of water or lemon juice to get a paste. Apply the paste to the pimples and leave it for several minutes. Wash it off with fresh water. Repeat the process 2 times a day to get relief soon. Besides, baking soda is also safe to treat other skin problems in babies and children. Please take a look at Home Remedies for Diaper Rash to find out more. Cucumber is very rich of vitamins such as A, C and E. Thus, it is very effective in cooling your body and can be used widely for beauty purposes. Slice a cucumber into several pieces and put them in a pot of water. Let these cucumber pieces soak for about 1 minute so that the vitamins in cucumber can leach into water. Drink the liquid or use it to wash your face. Alternatively, make a cucumber mask by grinding cucumber. Apply the mask onto your face for at least 15 minutes then remove it. Wash off your face with lukewarm water. 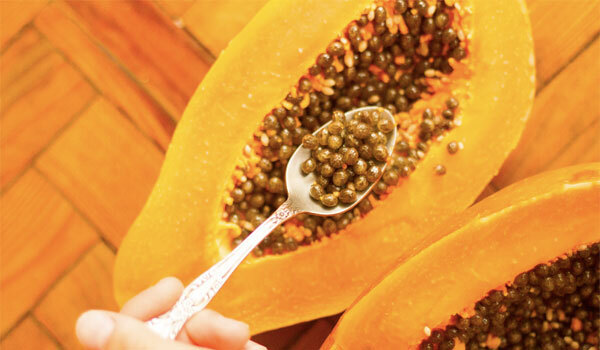 Papaya has a huge amount of vitamin A that is very good for your body in general and for your eyes in particular. It also contains some kinds of enzymes that reduces inflammation and brights your skin. That is why this fruit is one of the most recommended ingredients for how to get rid of pimples . Grind a papaya to make juice. Apply the juice to the pimples for about 10-15 minutes. After that, cleanse your skin with water. Alternatively, mix an enough amount of grinded papaya with a little amount of honey to get a paste. Apply it directly to your affect areas and massage gently. Let the mask be dried naturally and remove it by water. Strawberry is excellent on how to get rid of pimples. It also can be used to whiten your teeth. Read more: Home Remedies for White Teeth. All you need to do is to use the top of a strawberry. 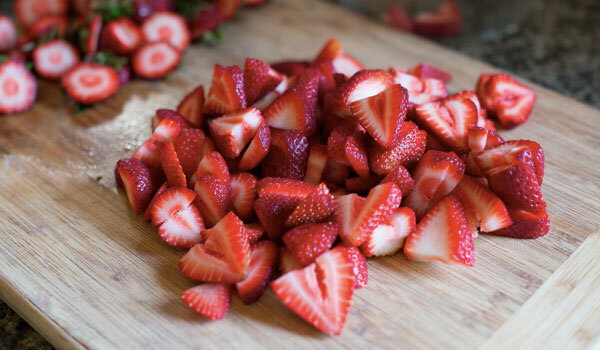 Take some flesh left at the top of a strawberry and slice it into some small pieces. Apply these to the pimples and let them sit for 20-30 minutes. Finally, rinse it off with warm water. Apply several times a week to see the result. Green tea can act as a natural astringent that is very helpful in reducing inflammation and treating pimples . Put a tea bag into a cup of hot water; let it soak for some minutes. Use the tea bag to dab on pimples or a cotton cloth to apply the tea to affected areas. Additionally, enjoy 3-6 cups of tea per day can give you much more other magical benefits. Alternatively, you can make green tea by putting some fresh tea leaves into boiling water. After that, rub the boiled leaves to the pimple areas. It helps the inflammation soon be curbed and your skin be soothed. Basil tea can also be used as one of home remedies for how to get rid of pimples fast thanks to its amazing properties . To make a tea, put 1 teaspoon of dried basil leaves into a cup of boiled water. Let it steep for 10 minutes and wait until the water cools down. After that, deep a cotton swab into the tea and rub to the pimples. Let the tea dry naturally and then wash off with water. 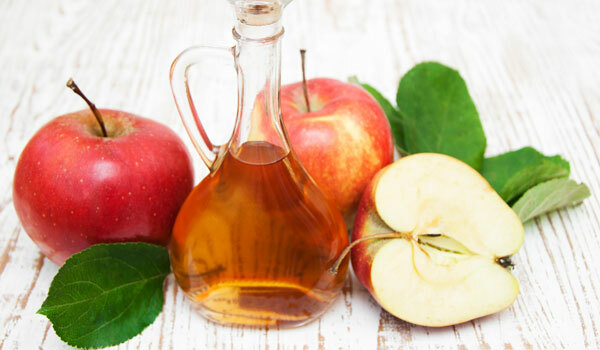 Apple cider vinegar can prevent infections thanks to its antibacterial property. It is especially effective in cleaning your skin and reducing the level of inflammation caused by pimples. Use a cotton swab to apply apple cider vinegar directly to the affected areas and let it become dry naturally. After that, wash off your face with water and apply moisturizer. Apple cider vinegar is a helpful ingredient in your pantry not only for culinary but also for many treatments, including Home Remedies for Jock Itch. Steam is one kind of efficient remedies that can open the clogged pores and give your skin a breath of fresh air by removing oils, dirt and dead cells. 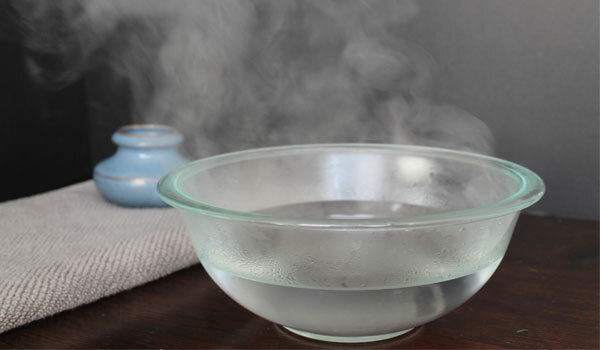 Steaming can reduce infections as well as inflammation to quickly make the pimples disappear. Prepare a large bowl of hot water. Cover both your head and the bowl with a big cotton towel. If you feel the steam is too hot, move your face father away from the water. Keep steaming for some minutes. When the water cools down, wash your face with warm water. Don’t forget to apply moisturizer after steaming. Clay mask is always used to clean the skin surface and help you on how to get rid of pimples and acne as it removes the dirt, dead cells, excess oils and opens the clogged pores   . Take an enough amount of clay and add water so that you can get a thick paste. Apply the paste to your affected skins. Let the clay mask sit on your skin for at least 20 minutes. After that, remove the clay and wash off with warm water. You will see the pimples no longer exist. Toothpaste is not only used for brushing teeth every morning, but also it can be considered as one of best home remedies for how to get rid of pimples. Get some white toothpaste and use your finger to apply it directly to the pimples. Let it sit on for some hours and then remove by washing off with water. Repeat the methods every day and continue for few weeks. Please note that the gel toothpaste is not recommended. I absolutely have no idea how to get rid of pimples fast at home eventhough there are way too much ingredients around me. Turns out clay mask works the best and I already make it home remedies for pimples and blackheads. However, the downside of this is that it might dry your skin out. It surprises me alot when people make use of toothpatse as home remedies for pimples overnight as I though it only help to treat burning sensation. At first few weeks of application I almost find nothing, but eventually it goes the right way and also can be made as the homemade remedies for pimples marks. The tip is to be patient and it will heal your skin. It would save your troubles and help you to deal with the question of how to get rid of pimples fast naturally as well. If you still do not know how to get rid of pimples in one day, then the tip is super simple as all mentioned above. This would also be made as among home remedies for pimples marks that you could simply go for. In the mean time, you can totally make use of clay mask as the home remedies for pimples for oily skin. You might not know but people also make the most of vinegar as the remedies for pimples and dark spots as well. This is in fact the age-old home remedies for pimples in hindi that many people would go for.